The Rudolph DDM 2909 Automatic Density Meter features built-in Peltier Temperature Control of the Sample, Full Range Viscosity Correction, Reference Oscillator and VideoViewTM for easy bubble detection, and is fully GMP/GLP Compliant. With the flexibility of Windows the DDM 2909 is Network ready with Internet connectivity allowing remote access to Rudolph Research Analytical’s Service and Technical Support Team. The 2909 comes complete with 20 Density to concentration tables which include Brix, Alcohol, API, and many various laboratory reagents. An unlimited number of additional tables, polynomials, and formulas may be added. VideoView™ provides superior high resolution visual bubble detection within your samples with live on-screen video viewing. Rudolph’s industry leading 10X magnification aids in identifying bubbles if present in the sample. 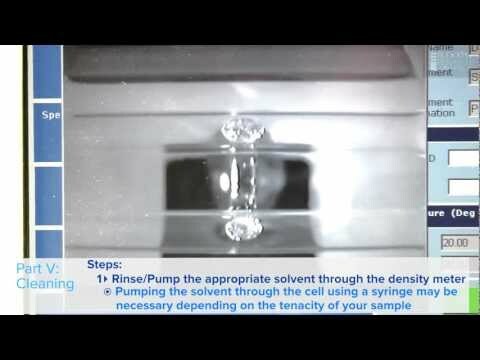 The video clarity, magnification, and resolution mean no more straining to see small difficult-to-detect air bubbles in your sample. Rudolph’s exclusive VideoView™ is protected under Patent #7,437,909. The DDM 2909 Density Meter’s oscillating U-tube with full range viscosity correction and reference oscillator allows long term calibration stability and measurement at all temperatures with a single calibration. 32 gigabytes of internal Compact Flash Memory . The DDM 2909 Density Meter is network ready and data may also be saved directly to your server or to any directory desired. Internet access is possible directly from the DDM 2909’s touch screen. Copy methods, transfer concentration tables, download data, etc., via the USB ports. Five USB ports allow for quick and easy connection to a mouse, keyboard, printer, bar code scanner, or memory stick. Keyboard, Bar Code Scanner, Mouse, Network Capabilities, Memory Stick. 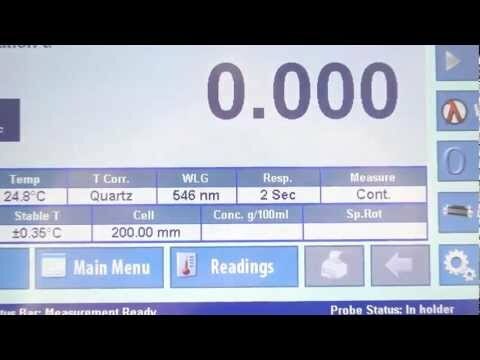 Save measurement data locally and directly to your Network/Server. 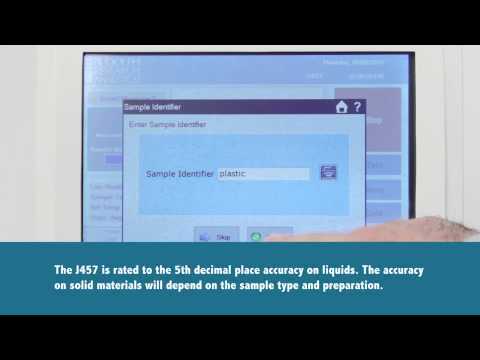 Sample measurement reports are edited quickly and easily. Just import your logo to the DDM 2909 Density Meter and print your company’s customized “C of A” directly. Drying Pump: Built in Drying Pump used to quickly dry the cell after rinsing and prior to the next measurement,reducing total sample analysis time. Air drying hose positioned intelligently so as not to become soiled withsample and rinse solvents. Video assisted, capable of approximately 10X magnification. I would definitely recommend your instrumentation to anyone I know because it is excellent instrumentation and awesome technical support always.